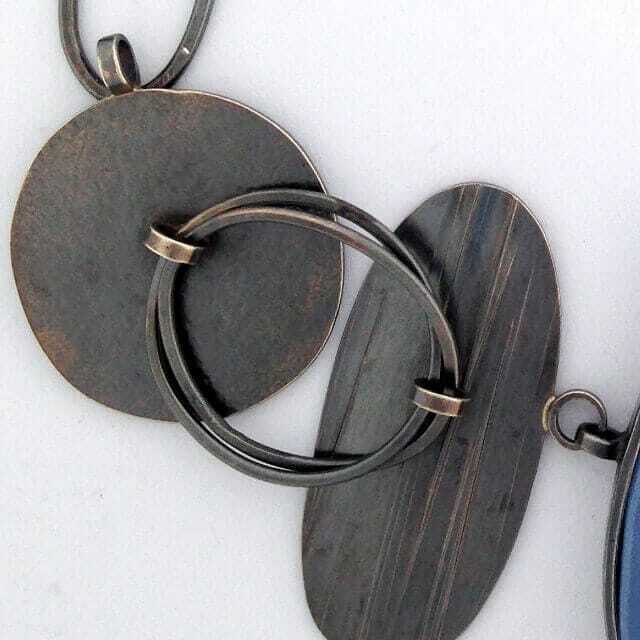 A necklace for any occasion, unusual and versatile enough to fit with jeans or an evening dress! Art school trained, I moved back to my native Fife in 2000 to start jewellery business in myPittenweem workshop overlooking the Firth of Forth. My recent creative journey explores patterns, shapes and colour from family connections, memories and in particular walking the Fife shoreline. I am also experienced in working to commission in gold, platinum and precious stones to create bespoke fine jewellery. My jewellery is inspired by my collection of personal treasure troves. This includes inherited and found objects, fragments of pottery from Fife beach walks, plus pattern from collected or inherited ceramics textiles. These all inform my choice of colour, shape and texture when designing. Ideas are developed through sketching then experimentation at the bench. The shapes and designs are handfabricated in silver exploring my themes through markmaking with punches, hammers, the rolling mill and etching. 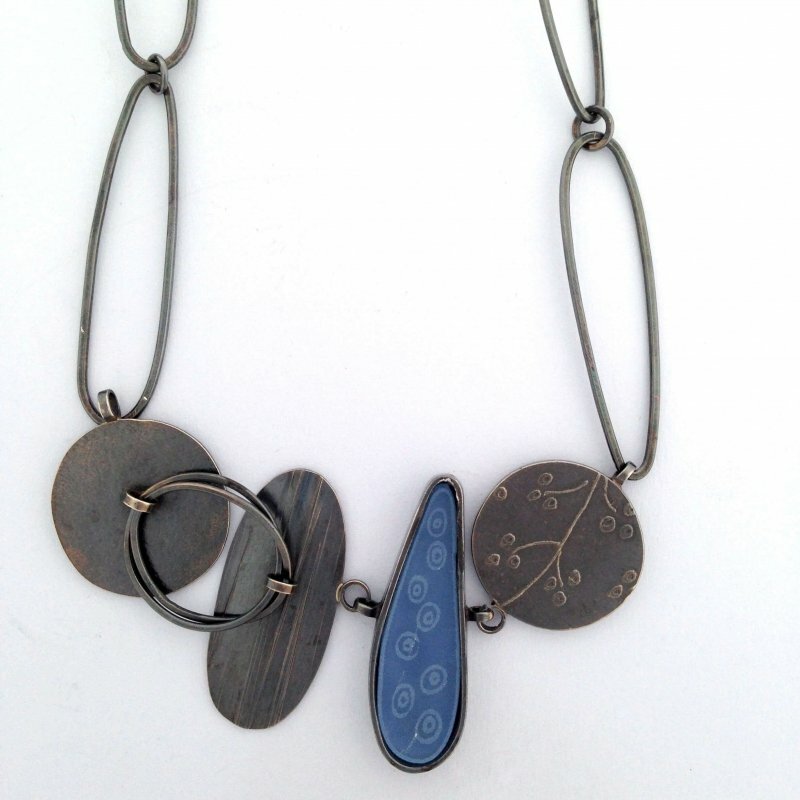 These silver elements are combined with laser engraved and cut acrylic, enamel and found beach ceramics in different combinations. The aim is to create visual balance and rhythm informed by the precise layout of museum artefacts where each element has a different narrative or memory. 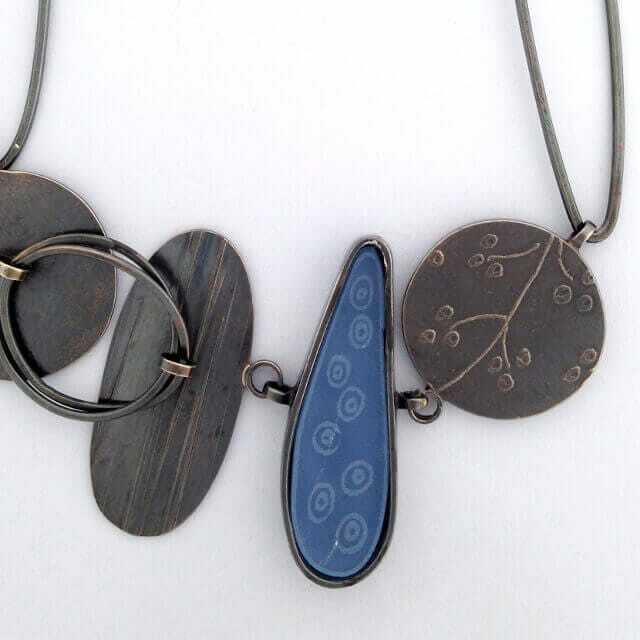 Elements of enamel, found pottery, acrylic and occasionally semi precious stones are combined with textured or etched silver shapes to create unique jewellery which evokes a sense of calm and memory in the wearer.